If you’re reading this article, then you’re probably in the same position that I was in a few months ago. Fortunately for you, I’ll save you the time of wading through hundreds of forums and product websites to find what you are looking for – finding the right exhaust system for your vehicle without any hassle, especially if you’re looking for an exhaust cat back. In this article, I’ll explain what cat back exhausts are and how they benefit your vehicle. A cat back exhaust system is an exhaust that starts from the section of the outlet of your cat (catalytic converter) to the exhaust tips. 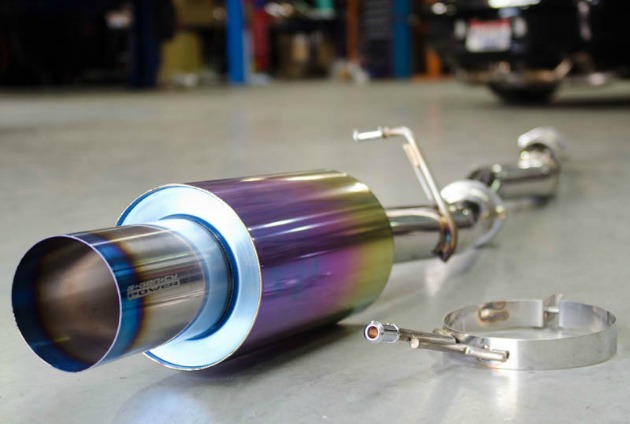 This system typically includes the muffler, the exhaust tip and the pipe from the catalytic converter to the muffler. A cat back exhaust generally has larger diameter pipe than the stock exhaust, just like most other aftermarket exhausts do. Moreover, they use mandrel-bent pipes that allow the gases to exit the exhaust with less back pressure. The mufflers that are included in these exhaust systems are most often glass packs that further help reduce back pressure. Some exhaust cat back systems are made for functionality, while others for show. The ones made for show can be customized to produce lower sounds, making the vehicle growl with a deeper sound. Cat back exhausts are extremely popular among truck enthusiasts as they provide an easy way to increase horsepower and torque. The main reason for this is their clever and careful design. Stock truck manufacturers focus on maximizing space and minimizing materials when designing their vehicles, keeping affordability in mind as well. This means that more often than not they’ll opt to go for the cheaper option that provides less horsepower, making them inefficient. A lot of aftermarket companies have made a fortune by manufacturing custom exhausts, custom cat back exhausts in particular, for every model and make. These systems are extremely efficient and take advantage of the mandrel-bent turns in the tubing to reduce back pressure. However, by far the best part about the cat back exhaust is that you can bolt it into the place where the stock exhaust was without performing any modifications to the vehicle. It typically comes with parts that will allow you to replace your stock exhaust, including muffler, exhaust tips and pipes. You get all of this without spending a fortune – usually it costs less than a thousand dollars. On average, a full aftermarket exhaust will cost you well over $1000, and maybe even $2000 dollars.